The state of Illinois’ sizable middle class has experienced a consistent but multifaceted squeeze since roughly 1980, according to Robert Habans, a postdoctoral research associate in the School of Labor and Employment Relations at the University of Illinois. CHAMPAIGN, Ill. — A new report from a University of Illinois expert in urban development and local economies found that the share of middle-income households in the state of Illinois has fallen steadily from nearly 60 percent in 1970 to below 50 percent in the current, post-Great Recession period. 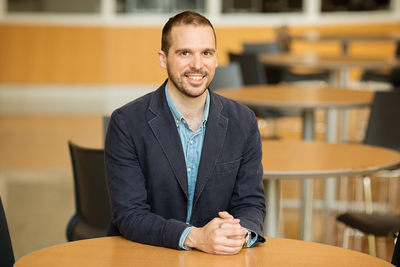 The large middle class in Illinois that emerged during the middle of the 20th century has experienced a consistent but multifaceted squeeze since roughly 1980, with middle-class incomes stagnating relative to higher incomes, according to Robert Habans, a postdoctoral research associate in the School of Labor and Employment Relations at Illinois. The paper takes a deep dive into exploring the middle class in Illinois, including the relatively wide variation in the way that the middle class is defined, Habans said. After adjusting for household size, Habans calculated the lower and upperbounds of a middle-income household income for a family of three in Illinois in 2015 as ranging between $43,000 and $130,000 per year. An analysis of income patterns from more than three decades of data suggests that the declining portion and changing composition of middle-income households are closely tied to increasing inequality and the changing structure of economic opportunity since 1980, according to the paper. In 1980, the manufacturing industry accounted for a large portion of middle-income jobs, “so the loss of manufacturing jobs is certainly part of the story,” Habans said. “As these and other middle-skill jobs have declined, the service industries that have experienced growth tend to support a wider and more polarized range of skill levels and earnings. As a result, the jobs that the Illinois economy has created tend to fall on either end of the earnings spectrum rather than in the middle,” he said. The demographics of the middle class in Illinois are changing, as well. Even as they’ve made strides in their numbers, female workers in Illinois continue to earn less than their male counterparts, Habans said. Another troubling trend is that black and Hispanic households are still underrepresented in the middle- and upper-income households in Illinois, according to the report. “Although the middle class is becoming less white and less oriented around male workers, race and gender continue to shape access to middle-income employment,” Habans said. Policies to help the middle class must be a mix of “growing from below” and “stabilizing from within,” Habans said. “It’s all about giving people opportunities to jump from low-wage work to something that pays better, because conventional pathways to middle-class income levels have evaporated for many workers,” he said. Meanwhile, labor market institutions such as unions and the minimum wage have diminished in their potency to support a broad pattern of income distribution, Habans said. It’s difficult to envision an equitable society without a large and strong middle class, Habans said. Habans’ paper is part of the Project for Middle Class Renewal, a research-based initiative tasked with investigating the labor market institutions and policies in today’s economy while elevating public discourse on issues affecting workers. The project is directed by U. of I. labor and employment relations professor Robert Bruno. Editor’s notes: To contact Robert Habans, email rhaban2@illinois.edu. The paper “Taking the pulse of Illinois’ middle class” is available online.